Push button lead advance on the barrel. 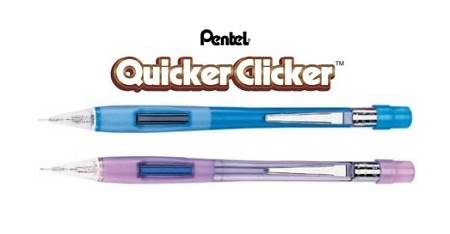 Refillable with Pentel's Super Hi-Polymer Leads. Side button lets you advance lead without changing writing position. Smooth rubber grip for added comfort. Covered eraser, metal tip.